Ever wonder what’s in toothpaste? It’s something we put into our mouths two or three times every day, week after week, year after year. That adds up to a lot of toothpaste. Maybe we just assume that it’s some sort of gel that cleans our teeth and freshens our breath. Well, it does do this. But what exactly is it? Many of us read the labels on the food that we buy. Does anyone ever read the label on the toothpaste container? I’m guessing probably not. Well curiosity got the best of me so I decided to read the label and figure out exactly what it is that I've been putting into my mouth for the last fifty plus years. I’ll list the ingredients and then try to explain what they are. I have to be honest, the list of ingredients is an eye opener. Not only had I never heard of some of the ingredients but a few of them I have trouble even pronouncing. That’s it. Anyone feel any better about what’s in their toothpaste? Not yet? Well read on. Sodium fluoride is a colorless, solid, inorganic chemical compound. 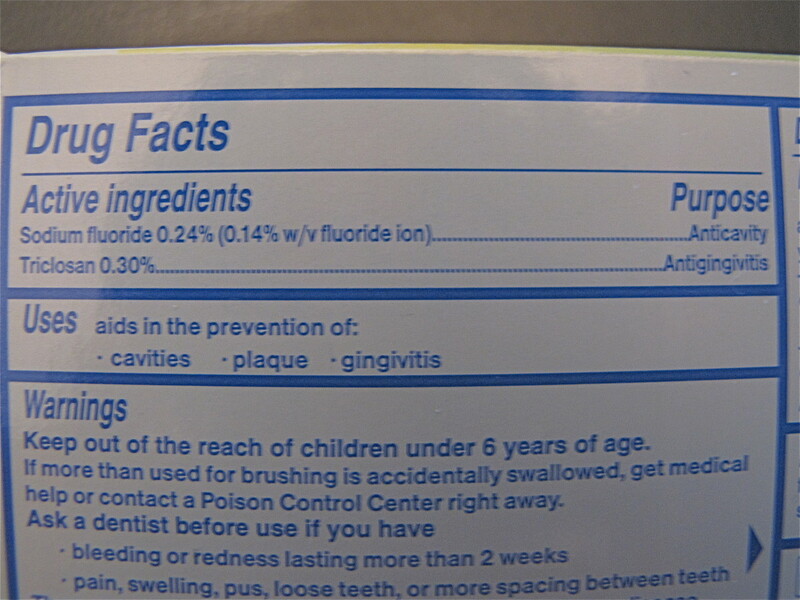 In toothpaste sodium fluoride is used to prevent cavities and is listed as an active ingredient on the label. Sodium fluoride is classified as toxic by both inhalation and ingestion. In high enough doses, it has been shown to affect the heart and circulatory system. The lethal dose for a 150 pound human is estimated to be approximately 5 to 10 grams. Sodium fluoride, as you are probably aware, is also commonly used to fluoridate water. Interestingly, the FDA does not have sodium fluoride on its list of approved drugs as it was in use prior to the 1938 law requiring drug testing and is “grandfathered” in as safe. Very interesting. Triclosan is an antibacterial and antifungal agent and is listed as an active ingredient on the toothpaste label. In use since 1972 it is used in many other common household products such as deodorants, shaving creams, mouth washes, and cleaning supplies. The biggest criticism of triclosan is that it may be carcinogenic? This concern is based on studies that have shown that triclosan can combine with chlorine in our tap water to make chloroform gas. Because of this many manufacturers are phasing out their use for this ingredient. Triclosan safety is currently under review by the FDA and Health Canada. Hydrated Silica is the abrasive used to polish and scrub the surface of your teeth in gel toothpastes. An abundant compound found in nature, sand and obsidian (naturally occurring volcanic glass ) are the most common forms of silica. 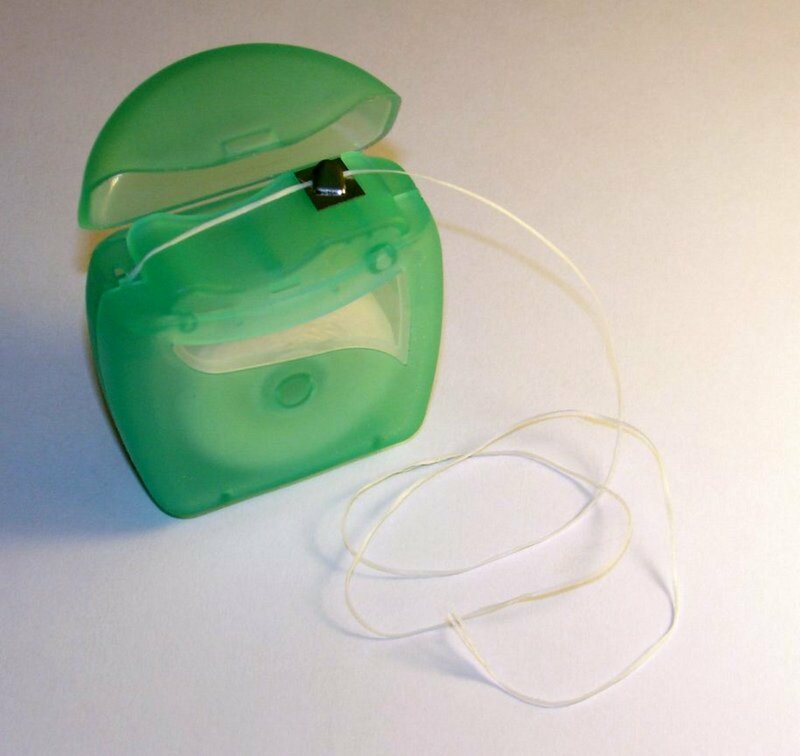 When combined with calcium carbonate, it helps to safely remove plaque while brushing. 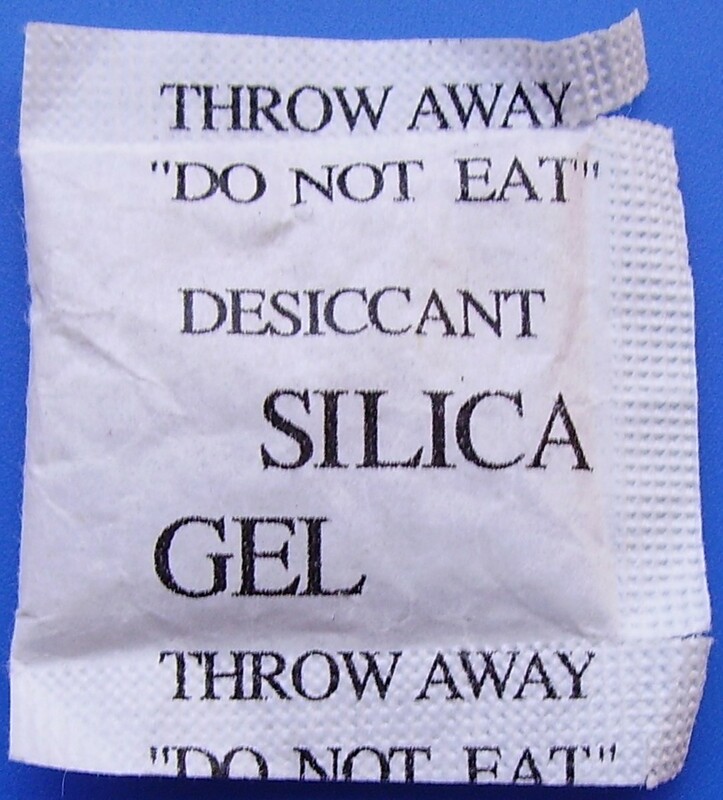 Hydrated silica has no discernible odor or taste and is listed by the FDA as "Generally Recognized as Safe". According to the FDA Hydrated silica has no known toxicity or carcinogenicity. 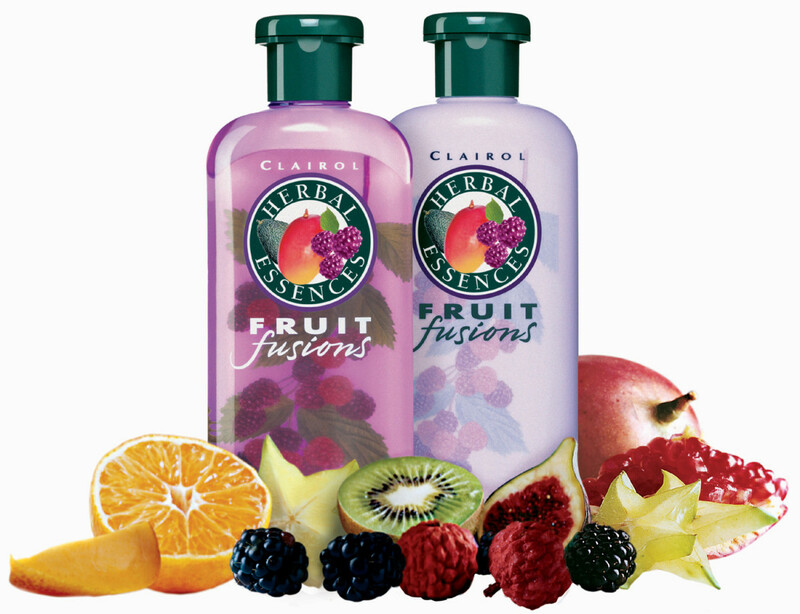 Glycerin is a sweet-tasting, colorless, thick liquid that freezes to a gummy paste and has a very high boiling point. 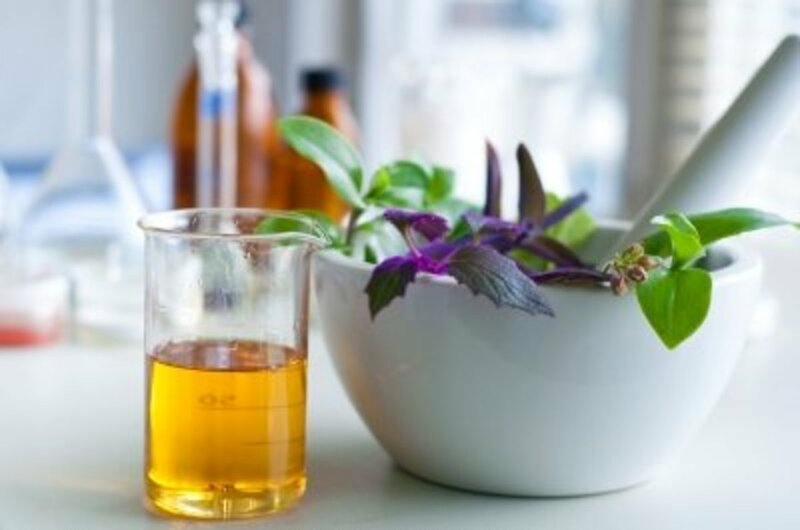 It can be dissolved into water or alcohol, but not oils, so it is a good solvent. 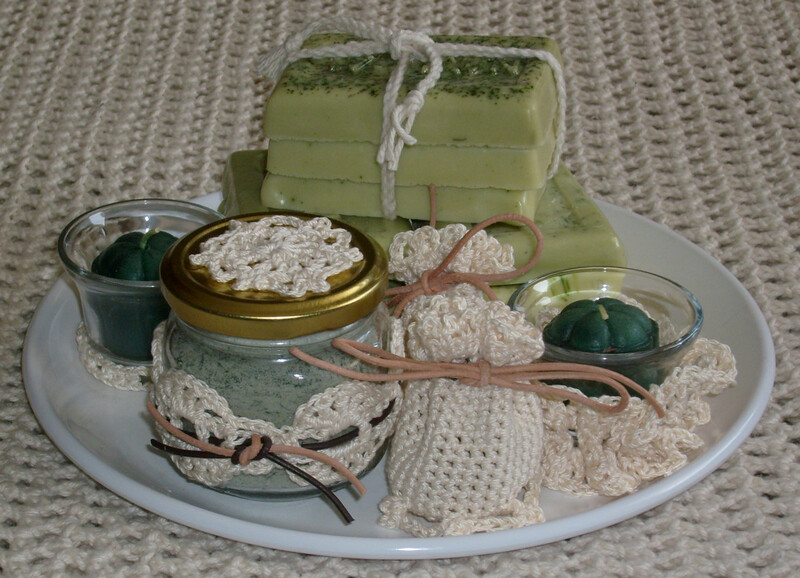 Glycerin is a natural by-product of the soap making process and is used in medical, pharmaceutical and personal care preparations, mainly as a means of improving smoothness, providing lubrication and as a humectant (can absorb water from the air). It is found in cough syrups, toothpaste, mouthwashes, skin care products, shaving cream, hair care products and soaps. Glycerol is also used to produce nitroglycerin which is an essential ingredient of gunpowder and various other explosives such as dynamite. Sorbitol is a sugar alcohol that is often used in diet products such as chewing gum, diet drinks and sugar free candy. It occurs naturally in fruits and vegetables, and is manufactured from corn syrup. Sorbitol is good for your teeth because it prevents the formation of bacteria that cause dental plaque - hence its use in chewing gums and toothpastes. It has been granted GRAS (Generally Recognized As Safe) status by the FDA. Despite this classification Sorbitol has been known to aggravate irritable bowel syndrome,and similar gastrointestinal conditions, resulting in severe abdominal pain for those affected, even from small amounts ingested. Ingesting large amounts of Sorbitol can lead to abdominal pain, flatulence, and mild to severe diarrhea. Guess that's why they don’t recommend that you swallow toothpaste. PVM/MA copolymer is a binder found in hairspray that does a great job of making triclosan stick to your oral tissues longer. In other words, it helps triclosan stay on your teeth and gums where it can kill bacteria, rather than getting rinsed away. Binders work by keeping a formula bound together in the compound, in this case the toothpaste. PVM/MA copolymer can be highly irritating in the eyes, skin and mucous membranes. Sodium lauryl sulfate is an organic compound used in many cleaning and hygiene products. SLS is mainly used in detergents for laundry and cleaning applications and is a highly effective surfactant that can be used in any task requiring the removal of oily stains and residues, hence its use in toothpaste. SLS is used as the detergent part of the toothpaste, which helps make the toothpaste lather in your mouth. 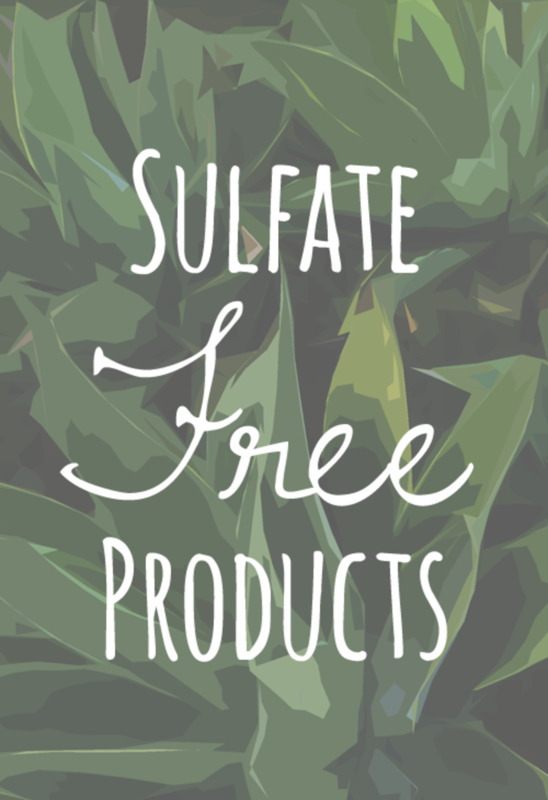 The FDA includes Sodium lauryl sulfate on its list of multipurpose additives allowed to be directly added to food. Cellulose gum is an ingredient found in a wide variety of products that we use throughout the day from our morning grooming to our evening meal. Cellulose gum is farmed from trees and cotton and is therefore readily renewable, abundant and cheap. Both the U.S. Food and Drug Administration and the Center for Science in the Public Interest consider this plant-derived product as generally safe for human consumption, with some minor cautions. Cellulose gum creates stability and suitable viscosity in toothpaste while making it more fresh and pleasant. Are you ready for this? 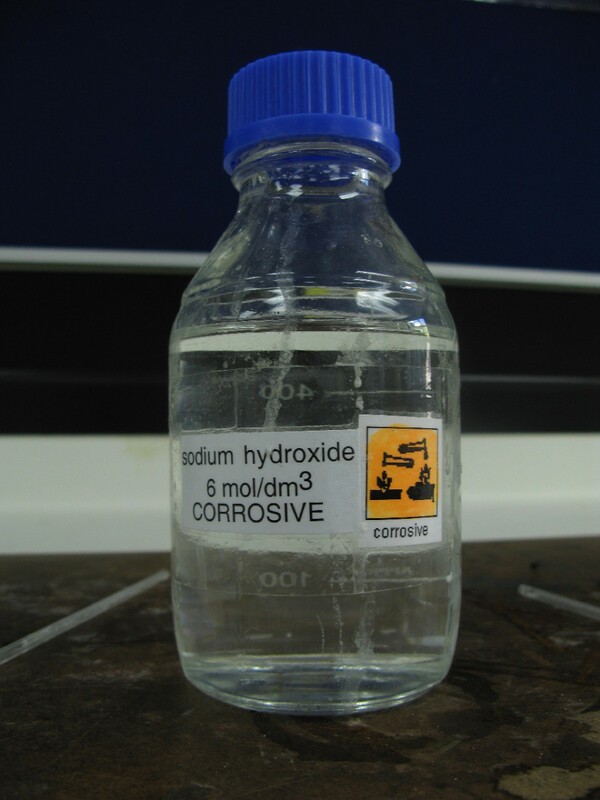 Sodium hydroxide is the chemical name for lye. Yes, a drain cleaner. What on earth is this doing in toothpaste you may ask? It's here to neutralize the pH of other ingredients. Apparently sodium hydroxide becomes very alkaline when dissolved in water, so it is used to neutralize the acidic pH imbalance caused by the other chemicals used in most toothpaste. It can be toxic if ingested. Because of this, toothpastes that contain sodium hydroxide often have a warning label that advises consumers to get medical help or contact a Poison Control Center right away "if more than used for brushing is accidentally swallowed". Propylene glycol is a chemical found in personal care products. It acts as a penetration enhancer which keeps products from melting in heat and/or freezing when it is cold. It is found in items such as shampoo, conditioner, soap, acne treatment, moisturizer, toothpaste, deodorant, nail polish, mascara; basically anything you could possibly use on your body. Propylene glycol is also a component found in newer automotive antifreeze's and de-icers used at airports. Oh boy! The oral toxicity of propylene glycol is very low and large quantities are required to cause perceptible health damage in humans. Because of its low chronic oral toxicity, propylene glycol is classified by the U. S. FDA as "generally recognized as safe" for use as a direct food additive. 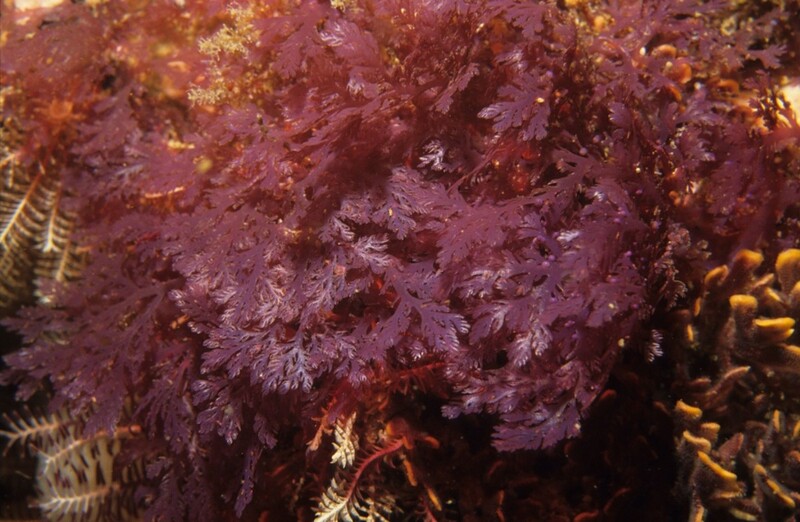 Carrageenan is a red seaweed extract. This particular type of seaweed is common in the Atlantic Ocean near the coasts of North America and Europe. You boil the seaweed to extract the carrageenan and in that sense, carrageenan is completely natural. The product is most often used as a thickening agent and is a common ingredient in many foods and gel-like products. In toothpaste carrageenan acts to thicken and stabilize the paste and to make it smoother. Sodium saccharin is the salt form of saccharin, which is an artificial sweetener. Sodium saccharin has 300 times the sweetening power of sugar which explains why saccharin is such a popular sweetener. In the 1970s, conflicting studies performed on rats raised the possibility that sodium saccharin might be carcinogenic. This prompted the U.S. Food and Drug Administration to require that products made with saccharin include a warning label. Subsequent research in human and non-human primates showed that saccharin was safe for humans and in 2001 the FDA declared that saccharin was safe. It is added to toothpaste to enhance the taste and flavor. FD&C Blue No. 1, also known as Brilliant Blue FCF ("for coloring food") is a synthetic dye produced from petroleum. It is FDA-approved for use in food, pharmaceuticals and cosmetics. Brilliant Blue FCF has previously been banned in Austria, Belgium, Denmark, France, Germany, Greece, Italy, Spain, Sweden, and Switzerland among others. Today it is certified as a safe food additive by the European Union and is legal in most countries. FD&C Blue No. 1 has the capacity for inducing an allergic reaction in individuals with pre-existing moderate asthma. The FDA states that “FD&C Blue No. 1 may be safely used for coloring foods generally in amounts consistent with good manufacturing practice”. Whatever that means? Food dyes are added to several toothpaste brands to give them the cool minty blue color when you squeeze it out of the tube. It’s estimated that the average American consumes 16 mg of this dye a day. The FDA states that D&C Yellow No. 10 may be safely used as a colorant. D&C Yellow No. 10 is approved for use in drugs and cosmetics but is not approved as a colorant for food. D&C Yellow No. 10 is often combined with FD&C Blue No. 1 to form a shade of green and this is its sole purpose as an ingredient in toothpaste. Well that’s enough to make me reconsider putting toothpaste into my mouth again. I think it’s time to do some research on all natural toothpaste products. If you do decide to continue using the major brands of toothpaste please read the labels. And, above all else do not ingest toothpaste. Also, you may want to monitor your children while brushing their teeth and make sure that they absolutely do not swallow the toothpaste. That is indeed a question that is up for debate. Many all-natural toothpaste brands do not use some of the questionable ingredients. Certainly, one should not ingest toothpaste, especially the big name brands that contain things like Triclosan and Sodium Flouride. What does 1 gram look like? Well, if you have a cube of water ice, measuring 1 cm on each of its sides, that weighs approximately 1 gram. This puts the quantity of sodium flouride in perspective. Also, comparing a minute quantiy of glycol in toothpaste with antifreeze in automotives does not lead to any realistic understanding, in my humble opinion. In each of those substances I am not trying to belittle their rôle, just helping to see a clearer picture. Hi psychicdog.net. Thanks for stopping by. BiCarb, interesting. I'm thinking that would work. I'll have to give it a try. Have a great day. Nice read thankyou. That Saccharin is considered safe has updated me. - though I've never liked it as much as real sugar! People near me commonly use BiCarb as a natural tooth cleaner. Hi Kristen. Thank you. This was an eye opener for me. I really read labels much more now than I used to prior to writing this hub. Thanks so much for stopping by. What a fascinating hub, Bill. Real interesting and useful to know what's in the toothpaste we use. Voted up! Hi Carrie Lee Night. Thanks for stopping by. I certainly was surprised by what I found. I've since switched to an all natural toothpaste. Have a nice weekend. Voted interesting and useful :). Very surprising information. I wonder what's in stannous fluoride, that's the one I use :). Great hub. Hi condominium. It sure is. There are now so many things that we consume that we take for granted that hey are safe. They very well may be but it sure does give one something to ponder. Hi Paul. Thanks, glad you enjoyed the Hub. Have a great day. Hi Blonde Logic. Very interesting. We certainly are creatures of habit. How funny that we think we are doing ourselves some good with the lathering when in fact we are not. And who doesn't rinse? Thanks for the helpful info. Thanks for taking the time to read and comment. Hi Emily. Glad you found this helpful. Thanks for stopping by. Have a great day. Very interesting. 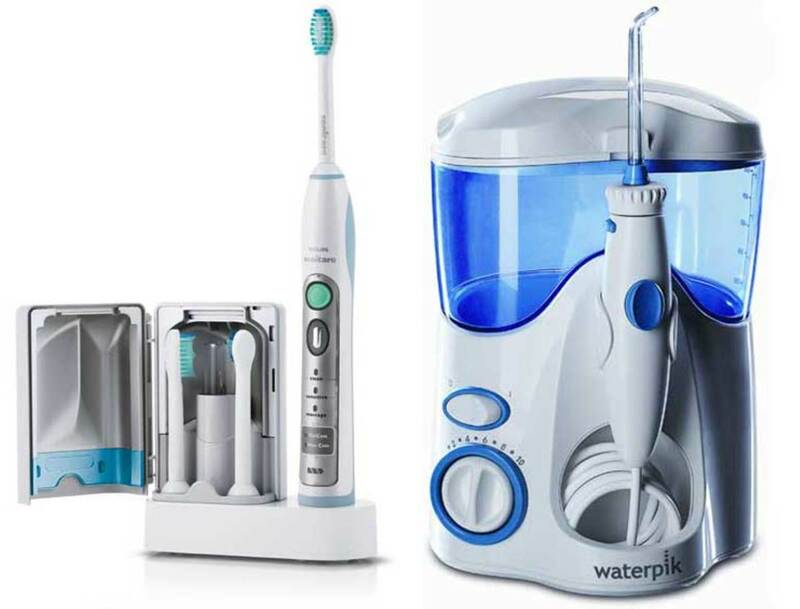 After brushing, for the the last 50+ years, I have rinsed my mouth with water. My daughter, who is a dental therapist, says that doing this is washing off the protection of the toothpaste. I have just finished a book called, "the Power of Habit" and toothpaste was one of the things they discussed. It was so interesting because they said, the lathering and the tingling feeling in toothpaste are unnecessary, those are only a perceived reward for brushing. In some middle eastern countries they use a cleaning stick which is supposed to be more effective than a toothbrush and paste. This is very helpful information to know! Hi moronkee. Glad you enjoyed the Hub. Good for you for making the decision to switch. We have switched also to Tom's of Maine. have a great day. Thanks Cathy. Yes, I have read the hub on homemade toothpaste. While I have not yet ventured down that road I do now buy Tom's of Maine, which is all natural. Thanks again for the visit. Thanks for your indepth research. I have actually switched to Forever Bright Gel because it contains non-fluoride. Fluoride is said to be damaging to the body. Well, just goes to show you that even though I'm a label reader, I have never paid attention to my toothpaste. It makes you want to just brush your teeth with baking soda and I think someone has written a hub about homemade toothpaste. It doesn't sound a like a bad idea now. Thanks for your information. Thanks AJ. Welcome to hubpages. Hi Rochelle. Thanks for stopping by. Hippo guts, very interesting! With today's toothpaste it pays to just read the labels and be informed as to what the ingredients are. We switched to an all natural toothpaste awhile back. In the long run perhaps it doesn't make a difference but I guess we just feel better about using something without the chemicals. Have a great day. I love to find out about these things-- it's enough to make you go back to baking soda. My toothpaste hub research revealed that Ancient Egyptians used Hippo guts as an ingredient. It doesn't look like we have improved much. The modern ingredients seem equally disgusting. I agree with your sentiments. To get real, reliable facts about the risk of long-term accumulation might be difficult. The parties involved might not give us the facts because of over-riding commercial interests. All I can do is indicate some comparable risks associated with things we know and cope with each day of our lives. We consume very small amounts of ordinary table salt (sodium chloride) every day, sometimes more than is good for our health. If you ingested one teaspoonful all at once, and managed to keep it down in your stomach, it could kill you. It would grossly upset the electrolytic balance in your body. Yet the risk of that happening is so small we ignore it. Water, plain simple water, is essential to our bodies. Some say we should drink at least two liters of it each day. Yet if the entire 2 liters or more was drunk all at once, that too could upset the electrolytic balance of our bodies. Nutmeg, a spice which in tiny quantities adds wonderful flavour to some food dishes: if you ingested half a teaspoonful all at once it would give you irreparable brain damage. The mobile telephone: We KNOW for sure that using one or texting while driving a motor vehicle, can and DOES kill people..... the risks are very high, yet we still do it. A Hub like yours is also important, in that you have done your research well and presented them for unsuspecting people to read. Helping everyone to assess risks with informed reasoning, I feel, is important, because there are lots more areas of life, like the mobile phone, that really need our attention. It might be wise to look at the real risk level here. I do not speak as an expert, just one who tends to be skeptical. I have a tube of Colgate Flourigard Toothpaste. Its contents when full weigh 175 grams. Its active ingredients are Sodium monoflourophosphate, 0,76% w/w. This equivalent to Sodium Fluoride 0.1% w/w. So the entire contents of toothpaste contains 0.175 gram of the active ingredient, or 175 milligrams, per one tooth-brushing. If I place on my toothbrush the amount of toothpaste that would fit on my little finger nail, say that amount would weigh 1.0 gram. That would give me 175 uses out of the tube. 0.175 divided by 175 = 0.001 of a gram, or One Milligram. Even if some of this toothpaste was swallowed with your saliva, what harm do you suppose it will cause you? 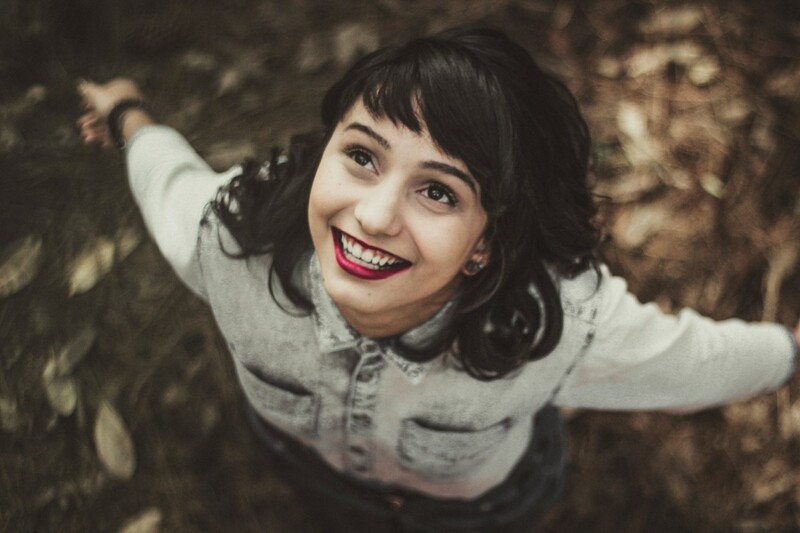 Compare that with some of the claimed benefits of using fluoride in toothpaste, i.e., that it will strengthen your tooth enamel and help to prevent cavities. I understand that some of the other things we put into our mouths, such as cola drinks, containing phosphorus and acid, can be very bad for the health of our teeth. Do you suppose a Hub highlighting these health dangers would be more appropriate? Hi anagham. We switched to an all natural toothpaste also and have had no problems. Thanks for the visit and comment. Have a great weekend. Oh my...Even a toothpaste is toxic.. Well I'm using an ayurvedic toothpaste from past 6 months and has natural ingredients in it. Great hub! Hi ketage. That was my reaction also when I decided to research this. Pretty shocking to say the least. Thanks for taking the time to read and comment. Have a great weekend. Good Grief :O errr , kind of left me speechless. 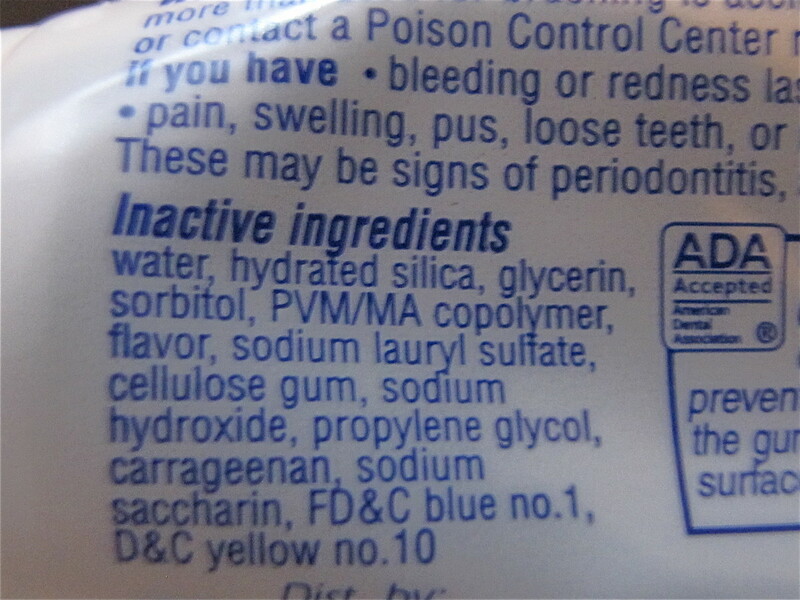 Amazing that I never considered looking at what ingredients are in my toothpaste. Very Informative hub, thanks for taking the time to research the facts and bring it to our attention. Hey Elizabeth. We've had good success with Tom's. No Triclosan. Thanks, have a great weekend. Hi Kevin. Thanks for stopping by. Not all toothpaste is created equally. It pays to read the label. Appreciate the visit, have a great weekend. Yes- that's the one! I love that brand. Now that I see what's in the other ones, I may need to switch back to it. Hi Elizabeth. Actually that is the brand we use now, Tom's of Maine, Spearmint :) Seems to do the job. Thanks for taking the time to read and comment. Welcome to HubPages. Hi self-counsel. Exactly! Because it's on the shelves in our markets we just assume that's it okay. I think Triclosan will be the next ingredient to be removed. Nice to know about the disadvantages of toothpaste. You have covered almost everything related to the topic. Great and informative hub! That is scary information! You definitely did your homework. Have you ever tried Tom's toothpaste? I think that is supposed to be natural but I have to admit I never looked at the ingredients. Thanks for posting! If I am not mistaken, in the past, manufacturers incorporate the active ingredient of betel nut since it has been known to strengthen teeth. However, studies revealed that betel nut has detrimental effects to oral cavity. Hi Solaras. Researching this hub was an eye opener. I now use all natural toothpaste and make sure there is no Triclosan in it. Better to be safe than sorry, and as you mentioned, what are the long term effects of these chemicals over time? Hi Heather. Thank you for the visit and comments. Good for you for second guessing the fluoride. I now use all natural toothpaste that has no Triclosan in it. Have a great day. Great hub - thumbs up and Interesting. 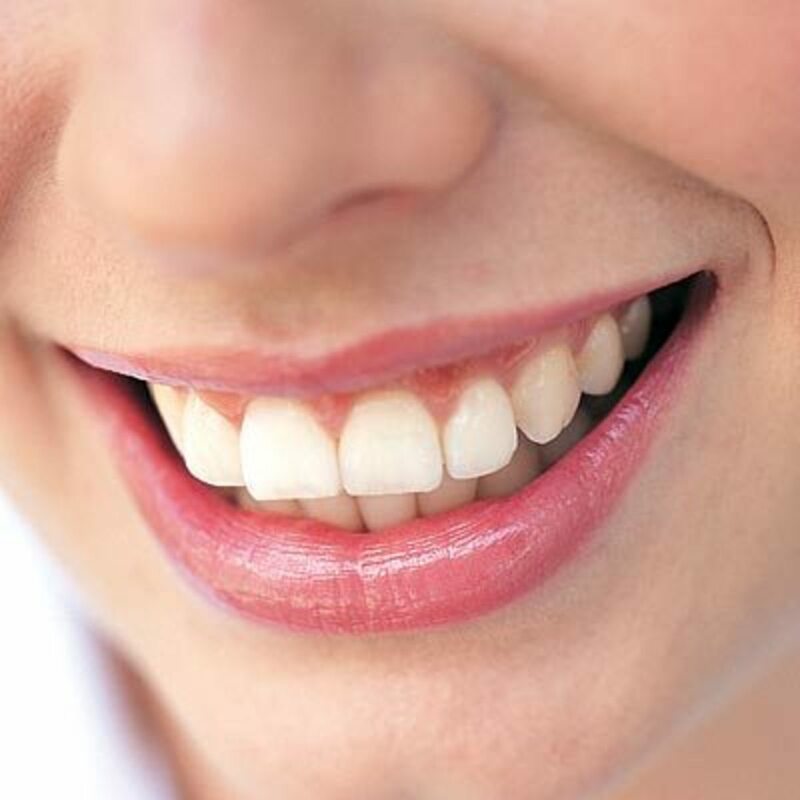 In your research did you find that old remedies, such as baking soda, were effective in cleaning teeth? I have to wonder about the cumulative effects of these chemicals that are fine in small amounts, but that add up in our systems over the course of the day. Hi there Jonnycomelately. You make an excellent point. Everyone seems to cram as much toothpaste onto their toothbrush as possible when it's not necessary. You are right, it's clearly a marketing strategy to get everyone to use more than necessary. Very much appreciate the input. Have a great day. Hi Meg. Good for you for questioning the companies that make toothpaste. And you make an excellent point about swallowing toothpaste. Parents should be talking to their kids about this. Thank you for taking the time to read and comment. Hi Arun. Thank you for stopping by. You made a great decision to start using herbal toothpaste. I did the same as soon as I discovered all of the chemicals in our toothpaste. Have a great day. Hi rajan. 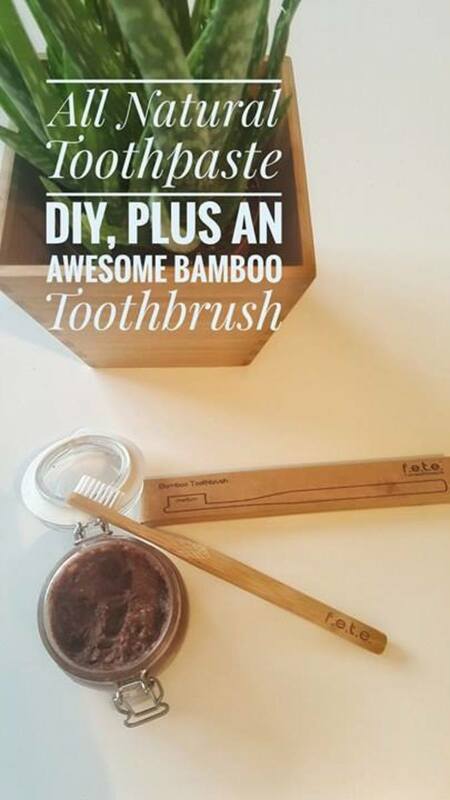 Ever since I did this hub I've been using all natural toothpaste. This was an eye-opener to say the least. I got a kick out of the "inactive" label also. What exactly does that mean? 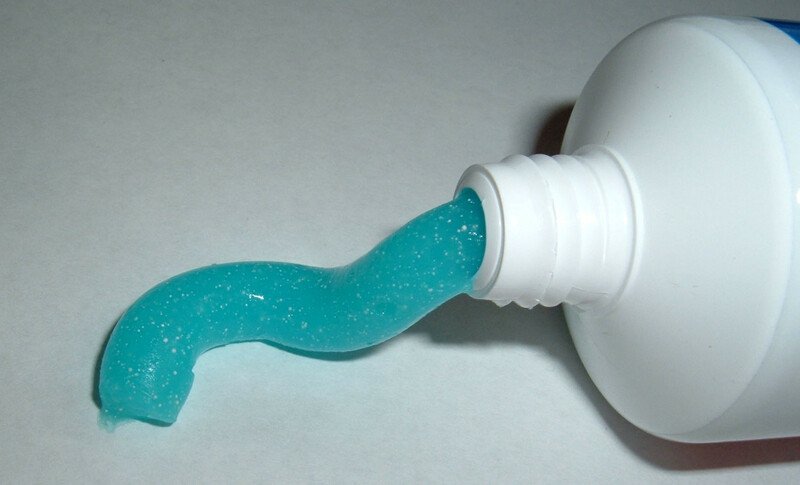 I think you should write the hub on harmful ingredients in toothpaste. If you do I'll put a link to your hub on here. Thanks as always for all the support, votes, shares, etc... Have a great day. Good Hub, thank you, it's very thorough and interesting. My main thought in regard to the use of toothpaste is that we do not need the typical One Inch of toothpaste squeezed onto the brush as per the TV Ads. An amount the size of your little fingernail is sufficient. Try it. Very interesting hub, thank you. 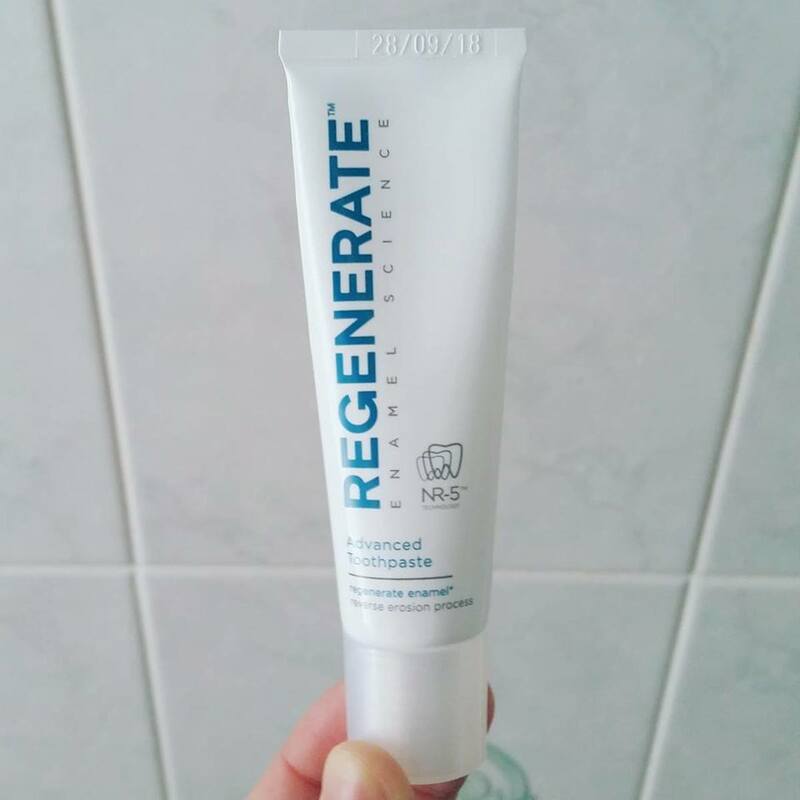 A number of years ago, in the UK, it appeared that a lot of "fake" toothpaste was being imported to the UK and sold illegally as being from various reputable toothpaste companies but when tested, it contained an ingredient that was not allowed. I THINK it was ethylene glycol (antifreeze ingredient for car radiators), not sure. At that time, I wrote to several toothpaste companies to ask how I could be sure that their toothpaste was NOT a fake one. Only one manufacturer bothered to reply. It's also useful to consider about swallowing toothpaste. Many children swallow toothpaste. I think it's time to stop that! I had once asked a dentist about his preferred toothpaste among so many in the market with a few spending lavishly on advertisements. He replied that all the brands of toothpaste were basically the same and one should go for those having much less chemicals. Since than I have been using herbal toothpaste much to my oral health. Thanks for the useful hub. Hi Bill, I've been wanting to write a hub on the harmful ingredients in toothpaste and here I'm reading yours. Very thoroughly researched and written. Going back to the picture at the bottom of the hub, it seems ironical to read the ingredients listed as inactive, when in fact they have been used for their activity. The choice is clear, use herbal toothpastes or one made from natural products. Many votes and sharing this hub!